Los Angeles based composer, writer, producer, guitarist and bassist, Nipun Nair, recently started up an instrumental fusion project called NOOP. They recently released their first single which has gone viral on Facebook, accumulating over 35,000 views in under a week. 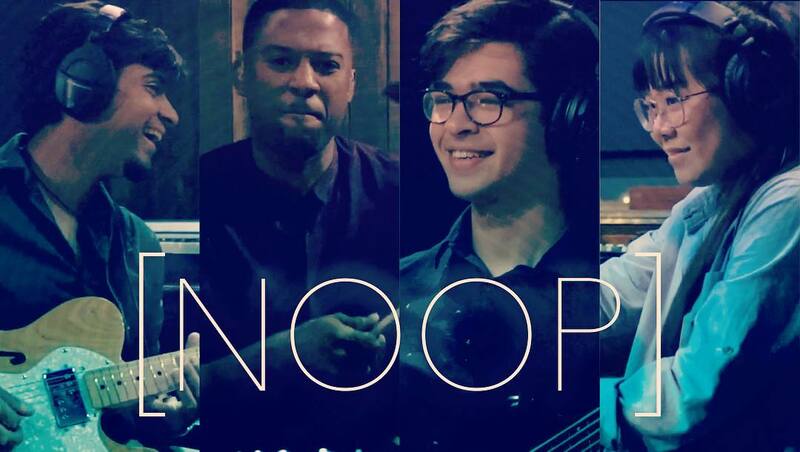 NOOP began as an experiment for Nipun Nair - an accomplished multi-instrumentalist, composer, producer and performer. Years of growing his sound and understanding the role that music plays in his life led him to the creation of NOOP. The concept behind it was to create honest instrumental music (Free to be interpreted in any way for the listener), that is not made to impress, or cater to the boundaries of the commercial music industry, and see how that would resonate with listeners. Lemuel Clark - one of the most talented drummers today, ever increasing in demand, yet one of the most humble people around. Renny Goh - Such an incredibly talented young keyboardist, who strives every day to be better than she was yesterday.. Her exponential growth has caught the attention of many musicians prominent in the industry today. Gabriel Coll - One of the youngest and most gifted bassists in Hollywood today. His understanding of music is so natural, that he is able to navigate it and communicate through it like it’s simply a part of his existence. Evolve - is a story of evolution and growth… an honest revelation about the struggles as an artist… As artists, we all start off with a clear vision of what we want to do… express ourselves through our art. However making that art noticeable in such a competitive market begins to throw doubt on ones-self, leading one to believe they need to conform to the mainstream industry to be taken seriously or noticed. However by doing so, and paying close attention to what our inner monologue is saying, we end up realizing that we are stifling ourselves by not being true to ourselves… and then begins the process of re-discovering ourselves through honesty, and what we end up finding is that the struggles that we just went through, brought us out in the end, more honest than before, and on the next level, and step towards evolution. This is what E-volve tries to depict, that through the ups and downs, the overall trajectory is progress! Marty's review: NOOP's first release is a stunner! Combining flowing keyboard strokes with exquisite guitar licks and a tight, funky rhythm, this collaboration hits the spot and showcases the amazing talents of these four young musicians. They bounce off each other like seasoned professionals and it all comes together in this smooth, almost effortless composition that will more than impress listeners of fine music. 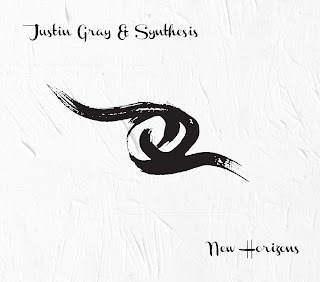 Justin Gray and Synthesis is a contemporary world jazz ensemble that explores a captivating cross-cultural blend of Indian and western music. The ensemble features Justin Gray on Bass Veena and Electric Bass, Ted Quinlan on guitar, Drew Jurecka on Violin, Ed Hanley on tabla and Derek Gray on drums, percussion and Tibetan singing bowls. 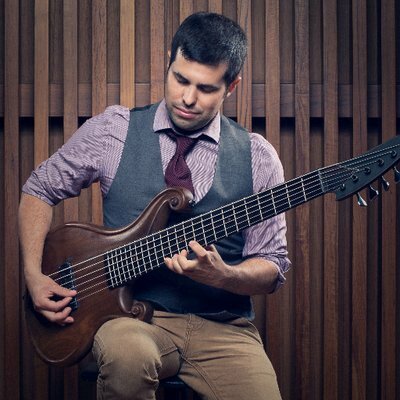 Bandleader Justin Gray is an award-winning bassist, composer and producer based out of Toronto, Canada. In 2010, Gray designed and co-created the bass veena, a multi-stringed instrument, which combines the fretless bass with elements inspired by various Indian stringed instruments. Justin is the first artist to perform on this instrument worldwide. 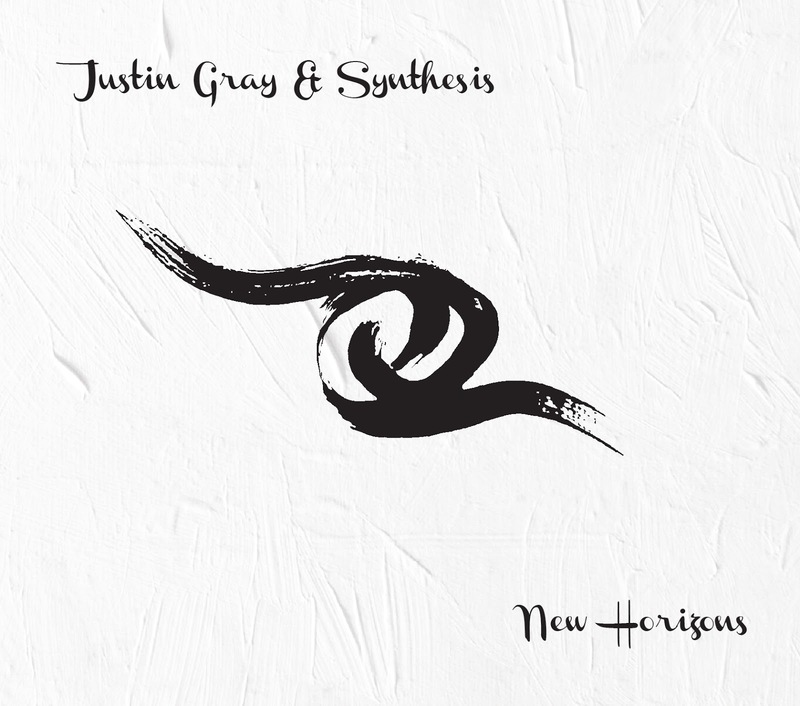 Justin Gray and Synthesis’ debut album, New Horizons, features a collection of original compositions, which feature the bass veena performed alongside an inspiring line up of global artists. The music draws inspiration from Justin’s wide range of musical influences, including Indian classical, jazz, western classical, electronic and R&B music. 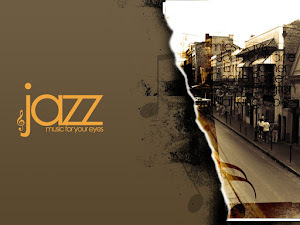 Gray’s compositions synthesize these musical traditions with a unique combination of creative melodies, rich sonic textures, and exotic grooves. 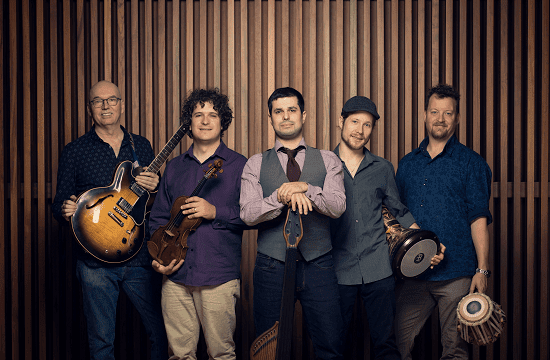 New Horizons features a number of exciting guest artists, including: Dhruba Ghosh (Sarangi), Trichy Sankaran (Mrdangam), Alam Khan (Sarode), Steve Gorn (Bansuri), Joy Anandasivam (Guitar), The Venuti String Quartet, Naghmeh Farahmand (Persian Percussion), Demetrios Petsalakis (Oud), Gurpreet Chana (Hang Drum), Todd Pentney (Piano), Joel Schwartz (Resonator Guitar) and Jonathan Kay (Esraj). Marty's review: the blending of jazz, classical and world music unite on this most adventurous and intelligent production. 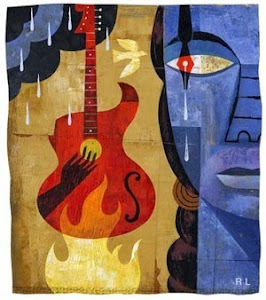 Justin Gray's bass veena is the rock on which all elements meet with the instrumentation of Indian music being the sound that weaves it together. Fans of jazz and world music will more than appreciate the combining factors that make this release a sheer piece of joy that resonates from all directions.